The news comes a day after the bankrupt battery maker was bought by a Chinese company. The bankrupt A123 will be sold to Wanxian Group, pending court and regulatory approval, after the Chinese company outbid Johnson Controls Inc of Milwaukee. Alex Molinari, president of Johnson Controls Power Solutions, said he expected the sale to be approved by the Delaware Bankruptcy Court on Tuesday. Republicans lawmakers, meanwhile, renewed criticisms that the White House’s clean energy grant to the maker of lithium ion batteries for electric cars had wasted taxpayer money. The company had received about $133 million of its $249 million grant when it filed for bankruptcy protection in October. Wanxiang, which bid $256.6 million for A123, did not request the grant money and did not anticipate receiving it, according to a person familiar with Wanxiang’s bid. The department official said that the conditions of the grant require taxpayer-funded equipment and facilities to remain in the United States. The department has the right to demand compensation if it does not approve of the buyer of A123. Pin Ni, president of Wanxiang America, said his company would respect the decisions made by the DOE. However, the person familiar with Wanxiang’s bid did not anticipate such a demand because the Chinese company plans to use the taxpayer-funded equipment in the United States, as originally intended by A123. More than a dozen lawmakers have raised concerns regarding Wanxiang’s takeover of A123, which will need approval from the Committee on Foreign Investment in the United States (CFIUS). CFIUS, an inter-agency panel that vets foreign deals for security concerns, is headed by Treasury Secretary Timothy Geithner. Critics have argued that A123’s technology should not be allowed to pass into Chinese hands after the company received government funding. “The review process at the Treasury Department is the last hope for ensuring some regard for U.S. interests,” Republican Senator Chuck Grassley of Iowa said in a statement on Monday. Grassley and Republican Senator John Thune of South Dakota have repeatedly raised concerns about Wanxiang’s pursuit of A123 and the government’s grant to the battery maker. If Wanxiang fails to get government approval, A123 would be put back on the auction block. Johnson Controls would be very interested in bidding again, Molinari said, adding that his company’s runner-up bid, made jointly with NEC Corp of Japan, was worth about $251 million. Wanxiang did not purchase A123’s politically sensitive business that works with the U.S. Defense Department, which lawmakers had said would pose a threat to national security. That was sold instead to Navitas Systems for $2.25 million. Once heralded by the Obama administration as a success story for U.S. manufacturing, A123 faltered this year after several technical missteps and amid weak demand for electric cars. 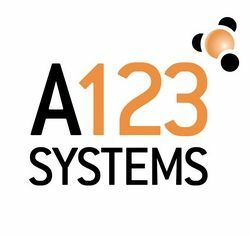 A123 received its grant as a part of the Obama administration’s $2 billion stimulus initiative to promote domestic battery manufacturing. U.S. Energy Secretary Steven Chu visited one the company’s plants in 2010.